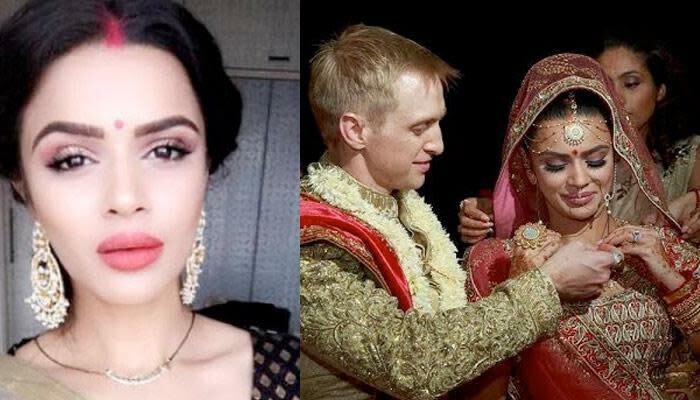 Aashka Goradia and Brent Goble had an intimate wedding on December 3, 2017, the very same day another telly town lady, Bharti Singh got married. 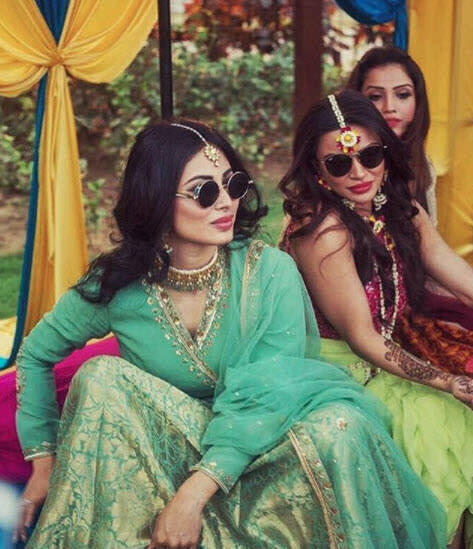 The duo tied the nuptial knot on December 3, 2017, in a resort in Gujarat and looked like royals. They had two weddings- one being the white wedding and the other being the Hindu traditional wedding. 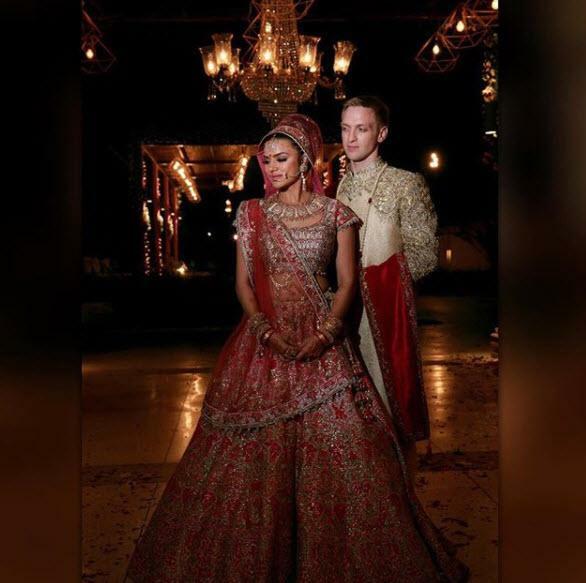 Aashka and Brent looked spectacular in all the ceremonies, but our favourite was their Hindu wedding look in which Brent wore a Sherwani and Aashka wore a rust-coloured lehenga. If seeing Brent in a Sherwani wasn't enough, he came on a horse in his Baraat and his dance was nothing but ENTERTAINMENT, ENTERTAINMENT and ENTERTAINMENT! 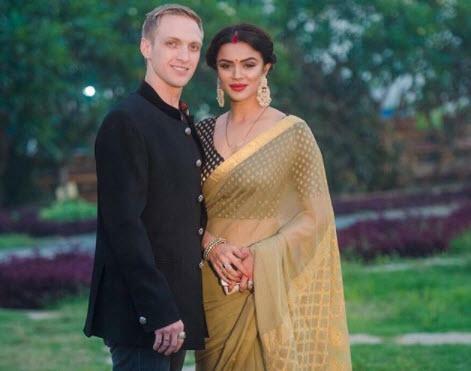 From the time they got engaged on December 25, 2016, the Aashka-Brent news flowing in on a regular basis gives us the surety that they are an unconventional couple and have done everything in a unique way. We talk about their pre-wedding function to their proposal to the unique wedding card; everything was done in a perfect manner. Her friends from the industry set the stage on fire on her sangeet night, when they decided to perform for the lovely couple! 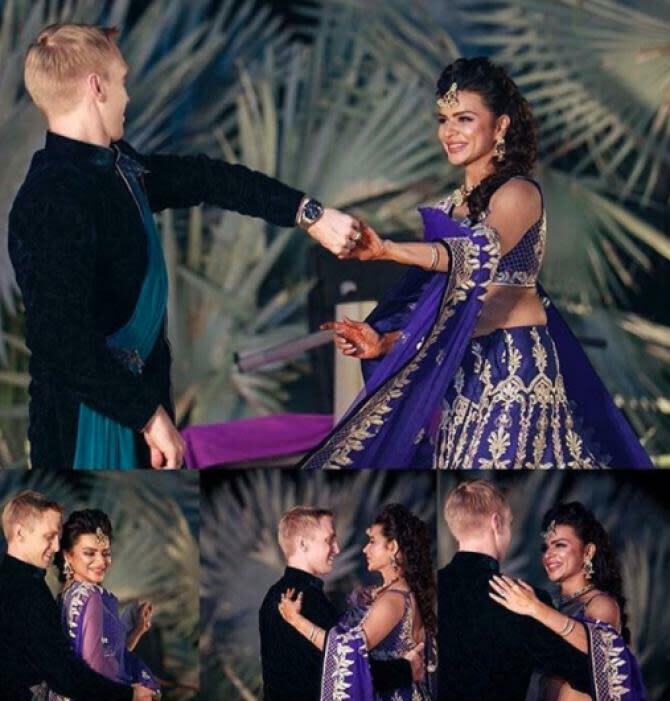 In case you haven't yet seen Mouni dancing for her bestie Aashka, take a look here! 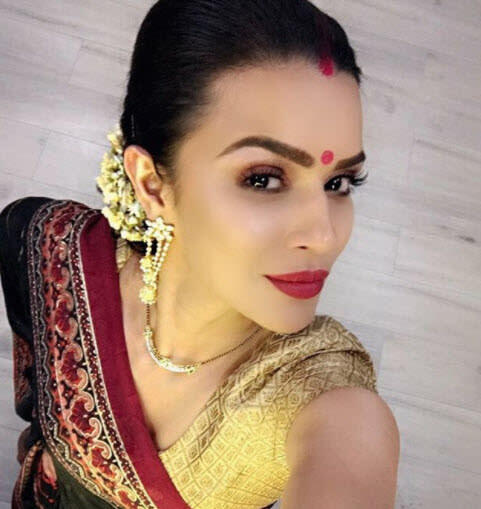 Aashka, like a cool bride, entered her wedding, dancing her heart out on the song 'Dhating Naach' and inspired all the brides-to-be to follow her footsteps (See Video). All the outfits and jewellery worn by Aashka were designed to complement her personality, but what we loved the most was the unique design of her Mangalsutra! The stunning and hatke design of her 'Mangalsutra' is sure to give major goals to all the brides-to-be. Her unique mangalsutra, which has been designed by the famous jewellery brand, ORRA. 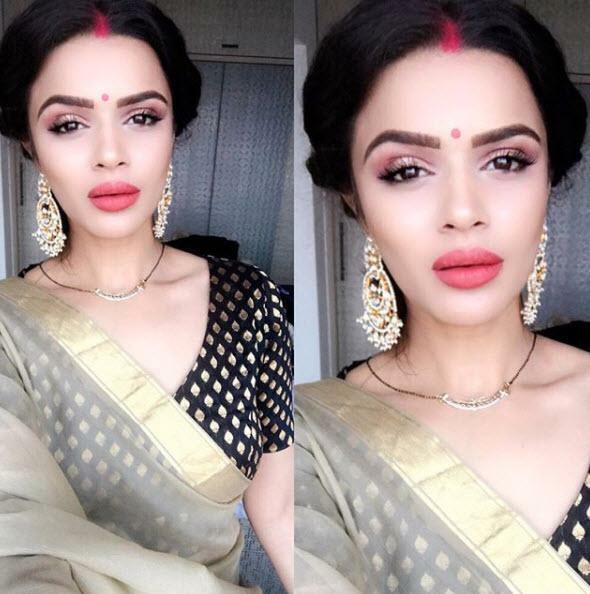 Aashka always wanted to wear something which symbolises marriage, reflecting tradition and thanks to this jewellery brand that suggested a customised mangalsutra. Here is the image of the actress’s mangalsutra and it's super unique. The customised piece says ‘Satyam Shivam Sundaram’ written on it and there is one more interesting thing related to this quote. This quote is not only on Aashka’s mangalsutra, but it is her new tattoo and they have used this phrase on their wedding card too. How cool and theme based this is, right? "Aashka was shopping for her mangalsutra and wanted something which is symbolic. She really wants to be able to wear her mangalsutra as she finds it to be a beautiful symbol of marriage and our traditions. Hence, when she got to know that her mangalsutra could be customized like her tattoo, she was thrilled. 'Satyam Shivam Sundaram' means truth is God and God is beautiful and hence, Aashka wanted something which would symbolize marriage." 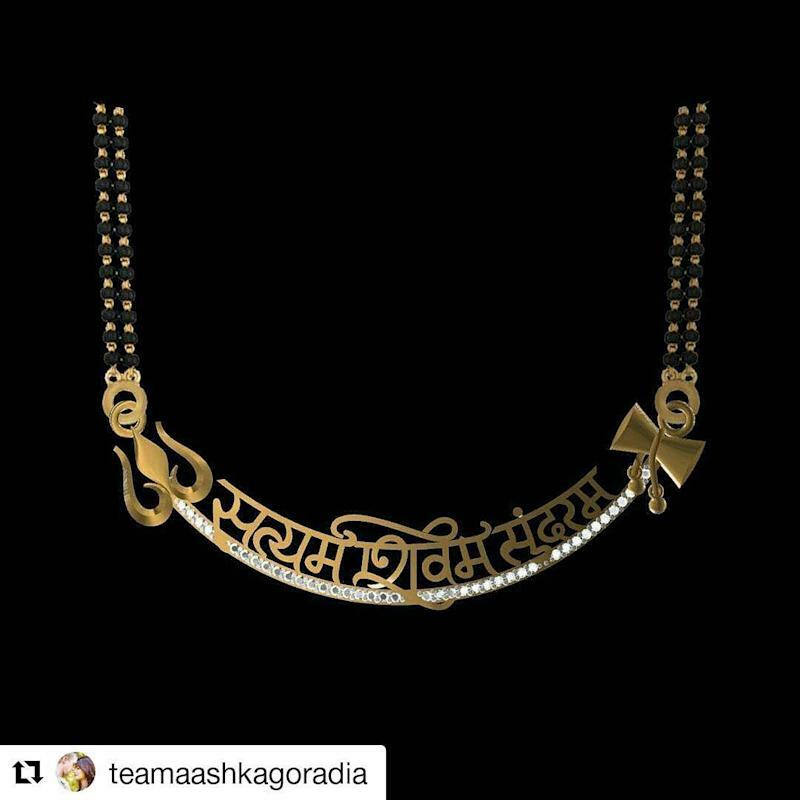 It’s really amazing to know how closely she’s associated with the tradition and culture and how minutely she has paid attention to these details that she wanted this phrase on her mangalsutra too. You truly deserve an applaud, Aashka! The design looks so amazing that we wonder how magical the moment would have been when Brent tied this Mangalsutra in his wife, Aashka's neck. What do you think about her mangalsutra design? Would you also like to customise your Mangalsutra or any other jewellery for your D-day? Do let us know in the comments section.